• Spray pan with cooking spray. Season steak with salt and pepper, cook till tender. Remove from pan and slice. 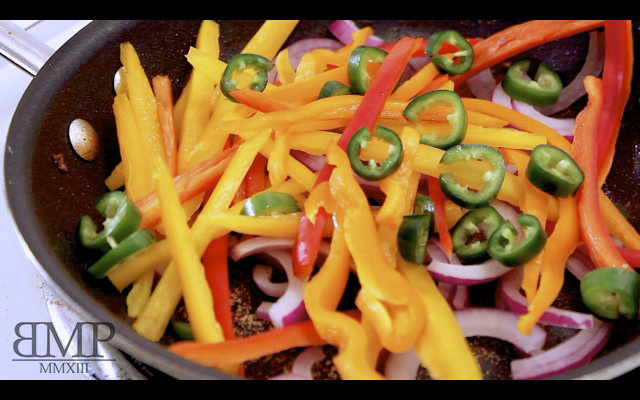 • In the same pan, add sweet peppers, jalapeño peppers and onion, season with what’s left of the salt and pepper. Cook till soft. • Heat up tortilla in a preheated pan for 30seconds on each side or in the microwave for 30seconds. 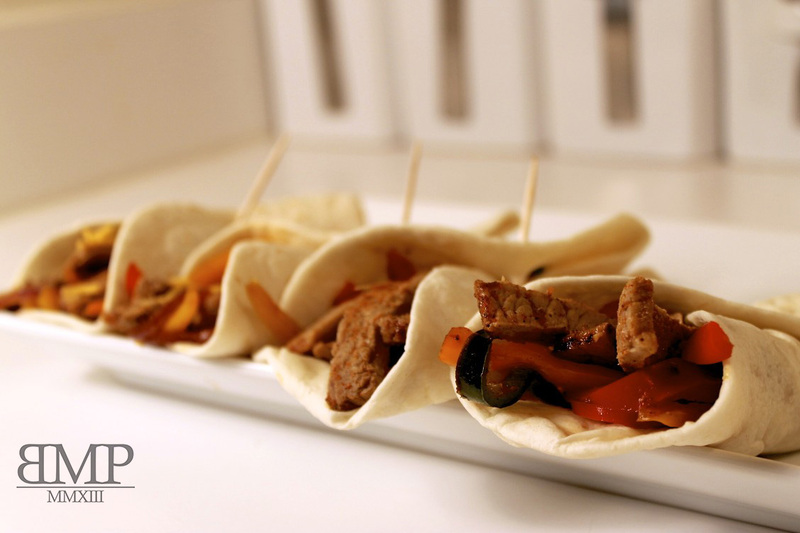 • Place cooked vegetables, steak slices and cheddar cheese in the center of each tortilla and wrap. See video below for wrapping instructions. This entry was tagged Cuisine, Food, how to, Kitchen, spicy steak, steak, tortilla, wrap. Bookmark the permalink.